Throughout their adventures Ross & Simon, felt it was necessary to document their experiences, it started with one specific event, chronicled in the form on Touching the Dyke. 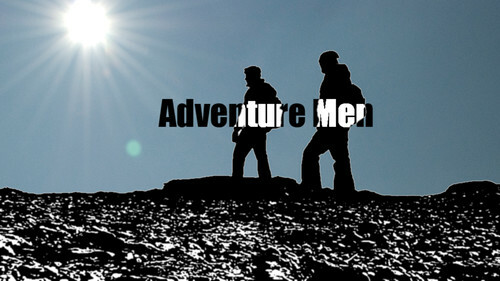 The documentary was such a success that they decided to take a camera crew with them on all subsequent adventures, thus the Adventure Men show was born. Also all new episodes and extra material will be posted to the blog right here!! Make sure you friend us up..
Also, the Adventure Men theme music was wonderfully composed by White Star Liners, so check them out!